A family enjoying Gioia’s premium quality products. Consumers have become more aware of what they eat, they read packaging labels and are more curious about the origins of the products being consumed. The food industry is seeing a generation ready to change their habits towards an active lifestyle and healthier nutrition. This shift is being supported globally by government policies, the community at large, as well as numerous awareness campaigns all centred around the benefits of maintaining and improving such a healthy lifestyle. These events help highlight the importance of exercise and diet to the public, going so far as to offer participants healthy snacks and fruit, most popularly bananas. A child enjoying Gioia’s quality products. It comes as no surprise that bananas prove to be such a sought-after fruit that is commonly distributed during these events. Its benefits, especially for athletes, are not to be understated. Highly recommended as one of the best health products on the market by experts, bananas boast high amounts of carbohydrates and fibre, proving to be a perfect source of natural fuel, boosting recovery, energy and overall performance. Nutritionists also accredit the consumption of bananas to combatting anaemia, maintaining good heart health, digestion ease, blood pressure stability and a number of other benefits. 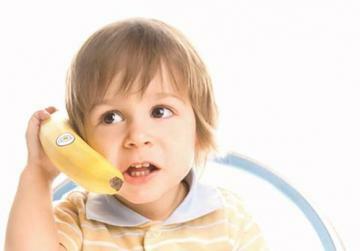 Bananas are high in the amounts of fibre, potassium, magnesium, Vitamin C and Vitamin B6. It is impossible to discuss this nutritious fruit on the island without mentioning the Gioia bananas. Fruitland Company Ltd, local importer and representative of Gioia, promotes this healthy lifestyle by sponsoring various events throughout the year, which include Żejt iż-Żejtun, the Puttinu Cares Football Marathon and the President’s Charity Fun Run. The Gioia banana itself is grown in GLOBALGAP-certified farms in Colombia and Costa Rica, ensuring the adherence to international standards for safe and sustainable food production. The South American soil proves to be extremely fertile for the growing of bananas, naturally granting them a sweeter and superior taste. Growing the best-quality bananas requires hard work and expertise. Each banana plant is nurtured and nourished by hand at each stage of its development. Gioia bananas meet strict selection criteria and quality checks, ensuring they are free from skin scars, bruises or crown rot. Bananas meeting this high standard are then branded with the Gioia quality label and shipped to the Mediterranean with controlled temperature logistics so that quality is maintained from the farms to the end consumer. For more information, call 2339 2339. Fruitland Com-pany Ltd is a fresh produce business unit within Famalco/Building Business.